Your week-long epic just got more epic thanks to the balanced, roomy Gregory Baltoro 75 Internal Frame Pack. Response A3 Suspension automatically adapts to your body and the terrain, making this spacious pack feel deceptively agile even when fully loaded. 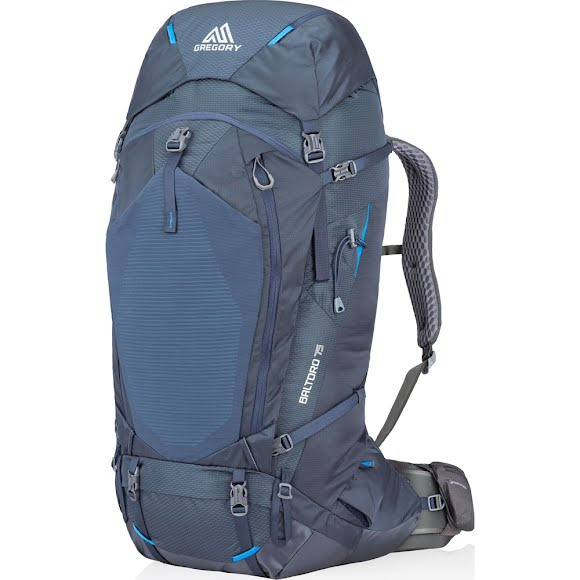 Your week-long epic just got more epic thanks to the balanced, roomy Gregory Baltoro 75 Internal Frame Pack. Response A3 Suspension automatically adapts to your body and the terrain, making this spacious pack feel deceptively agile even when fully loaded. Thoughtful feature placement like external gear pockets, a divided lid, a sleeping bag compartment, and built-in organization keep your life simple on the trail and in camp. At the heart of the Baltoro and Deva Series lies the latest evolution of our groundbreaking, award-winning Response suspension system. The proprietary A3-or Automatic Angle Adjust-and women&apos;s-specific A3W chassis are the reason these packs remain comfortable and balanced, mile after mile, through shifting terrain, conditions, and intensity levels. A3 technology allows both the shoulder harness and hipbelt load panels to pivot independently, adapting instantly to the shape of your body and your movements. Meanwhile, the Lumbar Tune insert allows the user to adjust the amount and placement of lower back curvature, providing incredible contour matching and load management. A lightweight Wishbone internal perimeter frame, an all-new ventilated backpanel, and contoured LifeSpan foam harness padding make Response A3 and A3W not just the best fitting, but the most dynamic and versatile suspension designs we&apos;ve ever developed.